"What we really want is a three-dimensional charging experience where you walk into your living room or office and your cellphone is charged simply by walking in." But the Disney team said it was inspired by Telsa's early efforts to develop a new system for wireless electricity. The process uses magnetic fields to send power to specially designed receivers. "Our simulations show that we can transmit 1.9 kilowatts of power while meeting federal safety guidelines. This means it's completely safe for people to occupy this space for any amount of time." One of Disney's likely uses for wireless power will be to create areas at its parks where visitors can charge their devices. You can also set up three-dimensional textures, using shapes instead of a flat image. They were determined to go back to the land of their forefathers. If it is not timely found, the copper pipe will fracture and the water will be overfall. The power source is the weak link in today's portable electronics. 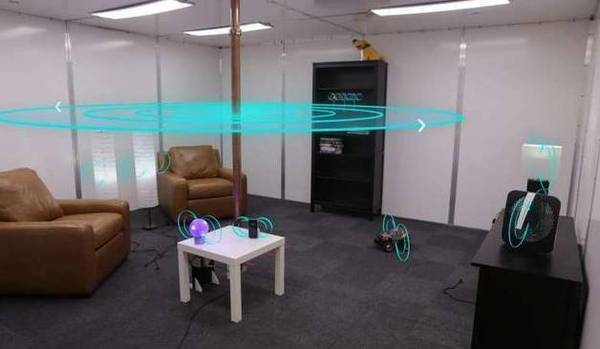 1.These waves continuously move around the room to send power to receiving devices. 2.Researchers built a 54-cubic-meter room in which the walls, floor and ceiling were covered with metal panels. My face was covered with bruises and I had a broken rib.